Jane C. Rue, age 53, of Richville, passed away on Saturday, April 13, 2019 at Canton-Potsdam Hospital. Donations may be made in Jane’s memory to a charity of one’s choice. Joie Charles McDougall, age 64, of Gouverneur passed away on Tuesday, April 16, 2019 at his home under the loving care of his family and Hospice of St. Lawrence Valley. Joie was born on November 17, 1954 in Gouverneur to the late Charles and Harriett L. (Tharrett) McDougall Jr. He attended Gouverneur Central School. On November 29, 1975, he married Diane Rickett at the Gouverneur United Methodist Church. Joie worked as a machine operator at Cives Steel for 15 years. He had previously worked in Maintenance for Kinney Drugs. He was a member of the Gouverneur Fire Department for 15 years, where he was also a member of the Dive team and a former Fire Police. He was a member of the Gouverneur Elks Lodge, Past commander of the Sons of the American Legion and the VFW Auxiliary. He loves cooking and listening to good old country music. Surviving is his wife Diane of Gouverneur; two sons and their wives, Charles and Kristy and Jamie and Sandra all of Gouverneur; three brothers, David of Fowler, Stevie and Diane of Conway, SC and Allen of Fowler; three sisters, Kathy and Jim Harris of Heuvelton, Debbie and Herbie Coates of Gouverneur and Amie and Dave Wing of Louisiana; five grandchildren, Charles Jr., Emma, Lily, Alexandra and Olivia and several nieces and nephews. Calling hours for Joie will be at French Funeral Home, Gouverneur on Thursday, April 18, 2019 from 6:00-8:00 p.m. His funeral service will be on Friday, April 19th at 10:00a.m., at the Gouverneur Community Center. Burial will follow at East Riverside Cemetery in Gouverneur. Condolences may be shared online at www.frenchfuneralhomes.com. Donations may be made in Joie’s memory to the Gouverneur Volunteer Fire Department, 1035 US Hwy. 11, Gouverneur, NY 13642. 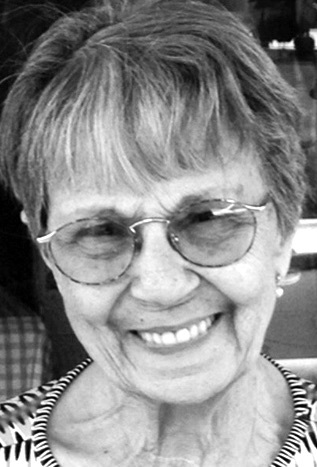 Joyce Mae Stammer, age 88, of Gouverneur, passed away surrounded by her loving family on April 14, 2019 at the Carthage Center Nursing Home where she has resided for two years. Calling hours were held at French Funeral Home in Gouverneur on Wednesday, April 17, 2019 from 12:00 – 2:00 p.m. immediately followed by her funeral service at 2:00 p.m. Burial will be in the East Riverside Cemetery. 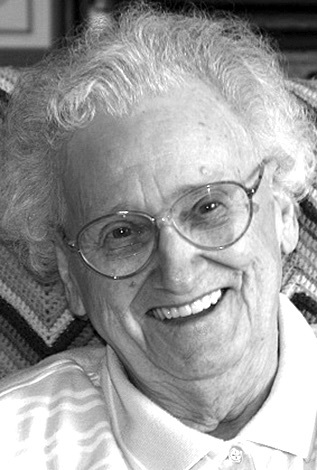 Joyce was born on May 13, 1930 in Macomb. She was one of 16 children to the late Alvin and Bertha (Dane) Washburn. She attended Gouverneur Central School. Joyce married Donald J. Stammer on April 6, 1957 at the Macomb Wesleyan parsonage officiated by Rev. James Keyser. Joyce and Donald owned and operated the Laurellea Farm in Gouverneur for many years. Joyce was an avid gardener and loved to feed and watch her birds. She enjoyed baking for her grandchildren, quilting and crafting, and attending the Macomb Community Church events. Joyce was a member of the former E.J. Noble Hospital Auxiliary. Her survivors include her daughters and sons-in-law, Cynthia and Michael Backovski of Waynesboro, VA and Deborah and Steven Horn of Abbottstown, PA; brothers, Arthur, Charles (Donna) and Richard (Liz); and sisters, Sarah (Ford) Reynolds, Ada (Donald) Bayne, Mary (Harold) Bresett, Anna Washburn, Leona “Skipper” Jones and Bettie Rook. She is also survived by 6 grandchildren, Andrew, Allison, and Katie Backovski, Steven Horn Jr, Christina Wilson and Cassandra Horn; and a great-grandson, Henry Horn. She is predeceased by her husband, Donald; brothers, James and Sylvester Washburn; and sisters, Nilah Sias, June LaVack, Joanne Washburn and Eleanor Solar. Donations in memory of Joyce may be made to the Macomb Community Church, 12 Co Rt 7, Gouverneur NY 13642. Condolences may be shared online at www.frenchfuneralhomes.com. Paul K. Gates, age 87, of Gouverneur, passed away on April 11, 2019 at Gouverneur Hospital due to pneumonia after a 12-year battle with voice box cancer. Paul married Grace Laverghetta on April 27, 1957 at St. James Church. He worked as the manager of J.J. Newberry’s before beginning his career at CIVES Steel in 1964 as a chief estimator. He retired in 2009. Paul is survived by his wife of 62 years, Grace; his four children, Deborah Gates Bush, Scott “SG” Gates, Christopher Gates and Marc Gates; five grandchildren, Angela Bush Yocum, Tony Bush, Janine Bush Ganska, Shannon Gates Dempster, Heather Gates Bourdeau; and nine great-grandchildren, James Yocum, Evie Yocum, Dillon Kilmer, Alexia Kilmer, Logan Kilmer, Ella Bourdeau, Tristan Bourdeau, Michael Ganska and Owen Ganska; and a brother, Claude Gates. Donations in memory of Paul may be made to St. Jude’s Research Hospital, Box 3704, Memphis TN 38103. Sally J. Besaw, age 63, passed away on April 15, 2019 surrounded by her loving family. Calling hours will be held at French Funeral Home in Gouverneur on Monday, April 22, 2019 from 5 – 8 p.m. Her funeral Mass will be held at St. James Catholic Church on Tuesday, April 23rd at 11:00a.m. Burial will follow in the New St. James Cemetery. Sally was born on March 13, 1956 in Manchester, CT to the late James “Jim” Courts and Alice Ann (Campany) Courts Perry. Her grandparents founded the Croghan Meat Market and Croghan Bologna. She attended the St. James School through the eighth grade and graduated from the Gouverneur Central School in 1974. Sally married Joe Besaw on September 6, 1975 at the St. James Church. The couple have lived in Naples, FL where Sally had many friends, Palmyra, Gouverneur and Sylvia Lake. Sally worked as a Teacher’s Aid for the Gouverneur Central School, loved to watch her special grandkids and helped her husband run his construction business, Besaw Construction. She also enjoyed boating and time spent on Sylvia Lake. Her survivors include her husband, Joe Besaw of Gouverneur; son Jason and Leah Besaw of Victor; daughter, Sara and Derek Breckenridge of Gouverneur; sister, Peggy Garrett of Naples, FL; and brothers, Steve and Patsy Courts of Amarillo, TX and Joe and Lori Courts of Raleigh, NC. She is also survived by grandchildren, Anna, Christian and Lucy; and many nieces and nephews. In addition to her parents Sally is predeceased by a brother, Larry Courts. In lieu of flowers please make donations in memory of Sally to the St. James School Fund, 20 South Gordon Street, Gouverneur NY 13642 or to St. Jude’s Children’s Hospital, PO Box 3704, Memphis TN 38103. Condolences may be shared online at www.frenchfuneralhomes.com. 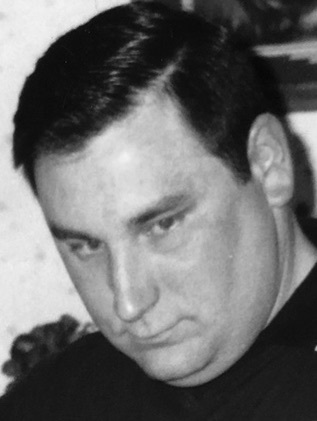 Harry W. Parow, age 61, of Gouverneur, passed away on April 10, 2019 at the Samaritan Medical Center in Watertown. Calling hours were held at French Funeral Home in Gouverneur on Friday, April 12, 2019 from 3:00 – 7:00 p.m. and on Saturday from 11:00 a.m. – 12:00 p.m. immediately followed by his funeral service at 12:00 p.m. Burial will be in the Fairview Cemetery in Edwards. Harry was a past Director of the Gouverneur Co-op Association, the Eastern Breeder’s Association, and the St. Lawrence Valley Bulk Milk Producers Co-op, former member of the Kool Kearney Kats 4H Club and Gouverneur FFA; He is the current President of the St. Lawrence County Holstein Club and St. Lawrence County Fair, and is a Director and Life Member of the Gouverneur Fair. He enjoyed spending many, many hours year-round preparing for the Fair. In years past Harry was the manager of the local softball league and bowled on several teams. After selling his cattle, Harry found enjoyment in visiting the casino. Donations in Harry’s memory may be made to the Gouverneur St. Lawrence County Fair, 85 East Barney Street, Gouverneur NY 13642. Condolences may be shared online at www.frenchfuneralhomes.com. Dale I. Bush, 76, passed away on Tuesday, March 5, 2019 at his home under the care of his family and Hospice of St. Lawrence Valley. A funeral mass was held on Saturday, March 9th at 11:00 am at St. James Catholic Church, Gouverneur with Fr. Shane Lynch officiating and burial to take place in the spring in New St. James Cemetery, Gouverneur. Calling hours were on Friday from 1:00 to 3:00 & 6:00 to 8:00 pm at the Green Funeral Home, Gouverneur. Dale was born on February 24, 1943 in Gouverneur, NY, the son of Alton S. Bush and Margaret L. Jones Bush. Dale graduated from Gouverneur High School in 1961 and from Canton ATI in 1963, with a degree in Agri-Business. After college, he joined the United States Army Reserves. Mr. Bush began his career at Agway in Syracuse in 1964 as a manager/trainee. He married Kathryn Randall on April 30, 1966 at St. James Church in Gouverneur. They moved to several different states, returning to Gouverneur in 1972 and purchased his grandparents' farm on the Welch Road. He worked for Agway, Augsbury, and Atlantic/Ultramar until he started his own business, D.I. Bush Fuels Inc. in 1982. Dale was an active member of St. James Catholic Church in Gouverneur where he was a Eucharistic Minister, Parish Council member, 20-year Kiwanis member, 15-year trustee of E.J. Noble Hospital board of directors, advisor/board member of Gouverneur Community Bank, advisory board member for St. Lawrence/Lewis County BOCES, and a member of the board of directors of Cambray Housing. In 2003, Dale and Kay were named Citizens of the Year by the Gouverneur Chamber of Commerce. He enjoyed spending time with his family, his beef cows, golfing, collecting tractors, trips to the casino, bowling, singing and dancing. Mr. Bush is survived by one son, Michael (Tricia) Bush, of Gouverneur, three daughters, Patti (Jim) Besaw of Central Square, Maureen (Alvin) Moore of Florence, South Carolina, and Teresa (Jim) Minckler of Gouverneur, two brothers Phillip (MaryBeth) Bush of Gouverneur and David (Laurie) Bush of Gouverneur, one sister Marilyn (Bill) Sapila, of Lansing, Michigan, seven grandchildren Taylor Besaw, Morgan Bush, Nate Besaw, Emily Bush, Madison Besaw, JD Minckler, Paul Minckler, and several nieces and nephews. He was predeceased by a son Dale Irving Jr. in 1973, his father Alton in 1987, his mother Margaret in 1999, and his wife Kay in 2012. In lieu of flowers, memorial donations may be made to Hospice of St. Lawrence Valley, 6805 US Highway 11, Potsdam, NY 13676 or St. James Church, 164 E. Main Street, Gouverneur, NY 13642. 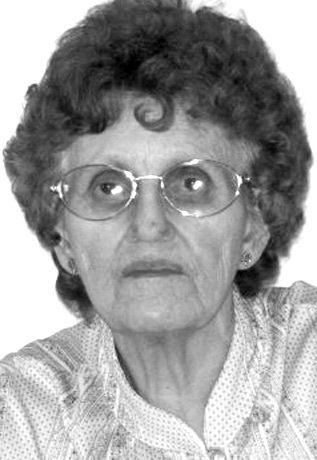 Aldea M. Jesmer, age 96, of Gouverneur, passed away on February 27, 2019 at Upstate Medical University in Syracuse. Calling hours were held at French Funeral Home in Gouverneur on Wednesday, March 6, 2019 from 11:00 a.m. to 12:00p.m. with funeral immediately following at 12:00 p.m. at the funeral home. Directly after the funeral service, family received friends and family at the Gouverneur VFW. Burial will be in the Hailesboro Cemetery in the spring. Aldea was born on July 20, 1922 in Malone to the late Frederick G. and Blanche (Ouimet) Barton. She attended the Malone Catholic School and married Lloyd Jesmer on December 24, 1940 at the St. John Bosco Catholic Church in Malone. The couple moved to Gouverneur in 1952. Lloyd passed away on May 6, 1993. Aldea loved to crochet, sew and read. She also loved to spend time with her grandchildren and great-grandchildren. She was a member of the ELKS Lodge and the Moose Lodge in Malone. She had worked in the Langdon Farms spinach fields, for Poupore Farm in Malone, was a cleaning lady at Nina’s in Gouverneur, and also had worked for the Gouverneur Lace Mill and Paper Mill. Her survivors include her son, Emile Jesmer of Gouverneur; daughter, Tamara McEathron of Gouverneur; a sister, Bertha Jesmer of Malone; and 2 granddaughters, Andrea and Todd Brasie and Teresa and Brian Loveless; and 5 great-grandchildren. She is predeceased by her parents, Frederick “Pépère” and Blanche “Mémère”, and her step-mother, Jane Barton. Donations in memory of Aldea may be made to the Gouverneur Volunteer Rescue Squad, PO Box 164, Gouverneur NY 13642 or Friends 4 Pound Paws, PO Box 394, Gouverneur NY 13642. Condolences may be made online at www.frenchfuneralhomes.com. 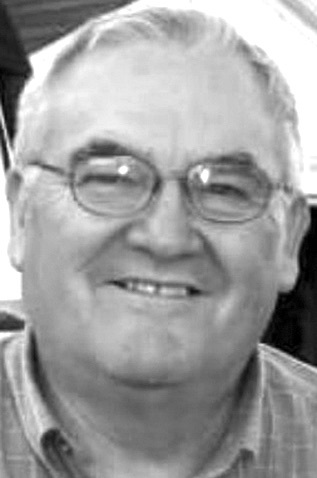 Brent S. "Chuck" Smith, 77, formerly of Gouverneur, passed away on Saturday, February 23, 2019 at his home in Lindale, Texas. Funeral services will be announced in the spring and burial will be held in New St. James Cemetery, Gouverneur with military honors. Local arrangements are with the Green Funeral Home, Gouverneur. Brent was born in Gouverneur on February 6, 1942, the son of the late Sherman and Margaret (LaRose) Smith. He graduated from Gouverneur High School in 1960 and served in the United States Army. On April 18, 1964, Brent married Nancy J. Laverghetta at St. James Church with Fr. Paul Oehler officiating. Brent was employed at Whalen Wholesale, International Talc, and retired from Corning Glass Corp. in 1993 after 27 years of employment. He enjoyed hunting, fishing, and the family camp on Black Lake for 42 years. Brent had been a member of Poker Flats Hunting Club, the chief financial officer of the American Legion Post 15 of Lindale, Holy Family Catholic Church of Lindale, and the Knights of Columbus. Brent is survived by his wife of 54 years Nancy, 3 daughters Cherie Benjamin and her companion Mike Guzzey of Binghamton, Amy and Robert Lamneck of Suffolk, VA, Lisa and Douglas Box of Huntsville, TX, three grandchildren Jessica Benjamin, Kiernan Box and his wife Courtney, and Sean Lamneck, a great grandchild Cooper Box, several nieces and nephews . He is predeceased by his son Steven Smith, his parents, a brother Maitland Smith, a sister Beverly Pike, and a nephew Michael Pike. Memorial donations in Brent's memory are encouraged to St. James Church, 164 E. Main Street, Gouverneur, NY 13642 or the American Legion Jordan-Duncan Post 15 of Lindale. Randy was a resident of St. Jospeh’s Home Ogdensburg, NY since January 1, 2019. Diagnosed with Alzheimer’s disease eight years ago, he has slowly been leaving us. His spirit has finally joined his mind and left this world on February 19, 2019. Born in Carthage, NY December 15, 1954 to William Henry Gadbaw and Rachel Jane Koster Gadbaw, he grew up in Gouverneur NY, attended St. James Parochial school, and graduated from GHS in 1973. After high school, he traveled with friends and worked in Florida and Texas. When he returned to Gouverneur, he worked for WIGS radio as a DJ, where he got to express his love of music and share it with the North Country. Randy attended Canton College, receiving a Criminal Justice degree and then SUNY Potsdam where he graduated with his bachelor's degree. His education landed him a job as a probation officer with the St Lawrence County Probation Department, where he worked for 26 years before retiring. He was well respected and went above and beyond to treat his clients fairly. Gab married Cindy Reilly on December 26, 1982 at her family’s home in Gouverneur. They raised their children in Norwood NY, where they lived for 30 years. He had a lifelong love of Sylvia Lake, where the family has a camp on the North Shore. Gab enjoyed his years of participation in men’s basketball in Norwood and Potsdam. He hiked, hunted (or read poetry in the woods,) and was a triathlete. Gab was an avid reader and a founding member of the Sylvia Lake Bookclub. He enjoyed these meetings over the past 20 years with the dearest of friends. Gab was a storyteller extraordinaire. Surviving are his wife, Cindy Reilly Gadbaw, son, Ian Gadbaw, daughter, Katie Gadbaw and husband Alex Carpenter and granddaughter, Anna Carpenter, all of Canton NY, as well as his brother, Phil Sprague of Watertown, his two stepbrothers, and a step sister. He loved his nieces, nephews, and in-laws. Predeceasing Randy are his father, William Gadbaw, his mother, Rachel Koster Sprague, his sister, Elaine Gadbaw Marcellus, niece Tammy Marcellus, his stepfather, Donald Sprague, and a stepsister. The Gadbaw family would like to extend their sincerest gratitude to friends, family, and caregivers who generously gave their time and energy to support Randy over the last 8 years. Your kind efforts improved the quality of his, and all of our lives. Randy's family would also like to invite all to attend a celebration of life to honor Randy at the Casablanca Restaurant in Gouverneur on Saturday, February 23rd from 3:00 to 6:00 pm. Arrangements are with the Green Funeral Home, Gouverneur. Memorial donations are suggested to the Alzheimer's Association of Central New York, 441 West Kirkpatrick Street, Syracuse, NY 13204. Myrissa Lauren Murray, age 27, of Carthage, but formerly of Fine, NY, passed away on Thursday, February 21, 2019 in Upstate Medical University. There will be a graveside service for Myrissa at the Pleasant View Cemetery in Clare, NY later in the spring. Arrangements are with French Funeral Home, Star Lake. Condolences may be shared online at www.frenchfuneralhomes.com. Myrissa was born on April 10, 1991 in Watertown, NY to George and Tracey (Scott) Murray. She was homeschooled through high school, and graduated in 2008. She did her senior year of high school and first year of SUNY Canton dual, then attended JCC. She worked as a teacher’s assistant at BOCES until becoming ill in 2015. She loved fostering cats for Friends 4 Pound Paws before she became too ill to continue that passion. She loved showing halter appaloosa horses as a teen and was invited to the World Show in Fort Worth with her gelding appaloosa Clear Distinction. She loved camping at her family’s camp, playing cards, and anything to do with her beloved cats and dog. She was deeply loved by many for her infectious laugh, sense of humor and sparkling blue eyes. She is survived by her parents George and Tracey Murray of Fine; a brother, Ethan who is currently working in Afghanistan; her grandmother, Geneva Blackburn of Star Lake; grandparents, Gary and Linda Scott of Sylvia Lake and Myrtle Beach; many aunts, uncles and cousins. And, most of all, her loves and center of her world, her fur babies…Jack, Pippa and Fester. Myrissa is predeceased by her grandparents George and Margaret Murray; great grandparents, Art and Geneva Austin, Paul and Barbara Scott and Doris Pearson. Donations may be made in Myrissa’s memory to Friends 4 Pound Paws, P.O. Box 394, Gouverneur, NY 13642. Ernest J. Hutt, known to everyone in Gouverneur as Ernie, passed away on January 13, 2019, three days before he would have turned 95 years old. He was married to Marylou Trerise for 47 years who predeceased him (in 1994). He leaves behind and will be remembered by his three children, Susan Hutt Norton (husband Ed), Brian R. Hutt (wife Kathy), Valerie H. Wells, 6 grandchildren and 10 great-grandchildren. He also will be missed by nieces Faye Lockwood, Linda Syrek (husband David), Betty Whalen, and their families. Ernie was born in Gouverneur and graduated from Gouverneur High School in 1942. He enlisted in the U.S. Air Force since WWII had been declared. After his honorable discharge, he attended Syracuse University and received a B.S. in 1948. He then was in sales for various companies until he went to work for Gouverneur Central School System as business manager and eventually Business Administrator from 1961-1976. During these years, he decided to go back to college to earn his masters in education and also received his certification in School Administration from New York University in 1979. This gave him the opportunity to be appointed Assistant Superintendent of Gouverneur Central Schools, 1977, and also in Gloversville, New York from 1978-1982. He retired in 1982 but continued to teach part time as a professor in a military program through USC and taught classes at military bases in Germany from 1983-1986. In the years that Ernie resided in Gouverneur, he was active in the First Presbyterian Church, The Rotary Club (he was president – 1951) and the Gouverneur Golf and Country Club. He was a member of Syracuse University, St. Lawrence University Alumni and Phi Delta Kappa Professional Education Associations. Memorial services are being planned for July 27, 2019 at the First Presbyterian Church in Gouverneur and burial will follow at Riverside Cemetery in Gouverneur. In lieu of flowers, please send a donation to the Ryan's Wish Foundation, American Cancer Society, any breast or ovarian cancer foundation, or the National Alliance for Mental Illness (NAMI).